What is mobile-commerce? Mobile commerce is the purchase and selling of goods online through the use of handheld devices such as smartphones and tablets. Mobile commerce also includes mobile banking, mobile shopping and mobile payments. With the growing market, the next generation of e-commerce is through the use of handheld devices, with the average time spent browsing the internet per month by an individual represented as 87 hours, compared to 34 hours per month through a desktop. With the increase in screen time on mobile devices, it is inevitable that purchases will increase through the use of mobile devices. China has seen as the benchmark for success for mobile commerce, with smartphones being used for purchases consistently, providing an easy way for customers to interact and increasing businesses sales. According to research from Signal-boosters.co.uk, by 2021 it is expected that mobile commerce will account for 54% of total e-commerce sales. With the increasing use and development of smartphones, this is to be expected. There are 3.2 billion people who have access to the internet as of the end of 2018, that is 55% of the entire population, 2 billion of these are mobile users, producing a highly populated market for potential customers to businesses all across the world. The convenience of mobile commerce? With the increasing use of mobile commerce through smartphones and tablets, retailers are taking advantage of this. The use of services such as apple pay, Samsung pay, apple wallet and contactless payment purchasing items could never be simpler or convenient. 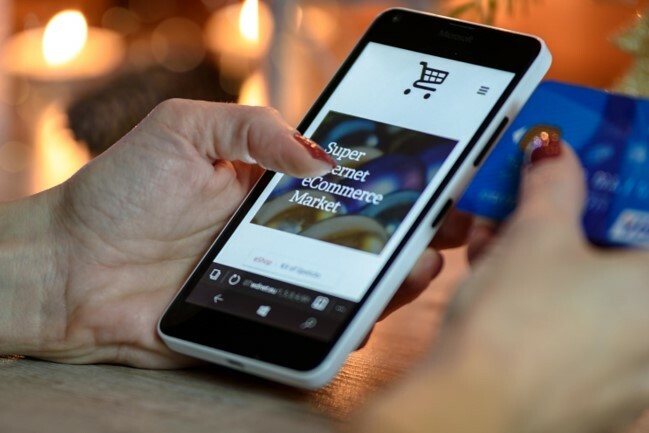 We can expect to see further advancement in the development of mobile commerce both within retailers and online, allowing for increased user-friendliness and convenience, potentially through the use of social media. 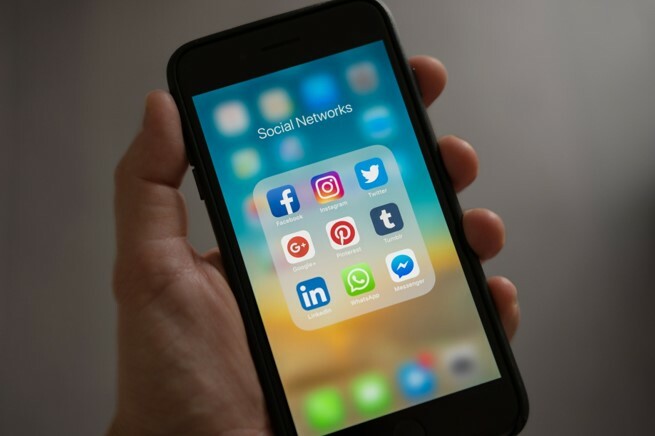 With the increasing use of social media within the 21st century, there are becoming more and more links to mobile commerce. With companies advertising on sites such as Facebook and Instagram, users can directly click on items and be re-directed to either apps or websites to purchase this. This is further made convenient through the likes of apple wallet, allowing for a fingerprint to be used and purchased within a matter of seconds. Within the next 5 years, we can expect to see further development in these areas, possibly combining both social media and businesses just like China do through the use of ‘wechat’, allowing a shopping experience to include social interactions with other customers, ease of use to signup to newsletters through scanning bar codes and reading reviews all in one location. With 62% of smartphone users making a purchase through mobile commerce within the last 6 months and 80% of shoppers using a mobile device instead of a physical store to look up product reviews, compare prices or find alternative store locations it is inevitable to deny the current success and expansion of mobile commerce. It is reported that mobile commerce will heavily influence customer shopping habits, converting consumers online instead of directly buying from stores. This can be seen in the increase in small business retail closing down over the past few years and is likely to increase even further. Going to the shop and buying an item used to be the only way to get your product delivered the same day. Now with services such as AmazonGO and Argos delivering same day, it provides an experience like no other. One major factor is the convenience, allowing you to work around your busy schedule and optimise the use of same day delivery. This is ever expanding through the development of drones to deliver products, reducing jobs and increasing efficiency and potentially safety in delivering products. Within the next decade, we can expect to see increased developments in these areas. Customers in the current day are always after more information in regards to products and services in which businesses provide. With the future of mobile commerce, all the information you will need can be found online. If not, customers can contact the business directly or alternatively, as found in China, the use of social media to interact with other customers, finding their opinions, expressing their voice and clarifying issues regarding products. The use of tablets in mobile commerce is increasing year by year. Perhaps due to the increase in screen size and relatability to a desktop in a more convenient manner. Year on year the amount of tablet users is increasing, increasing the potential customers for mobile commerce. Tablets are especially popular in elderly people, providing easier user than a computer and a bigger screen that smartphone, making it ideal for user-friendliness and online shopping. This is a particularly popular market within this population, since the elderly get tired easy, with tasks like walking around shops, for example, mobile commerce provides the opportunity to have products delivered to their door with ease, placing less stress on the individual and providing an enjoyable and simplistic experience. The future of mobile commerce can expect an increase in mobile devices, including tablets and smartphones to purchase products and services online. With new technologies being developed year on year, it is expected that these systems become greater advanced and more efficient, allowing a user-friendly experience for customers. The use of mobile commerce should be able to attract a wider target market and appeal to its ideal audience through the use of social media, with the potential for e-commerce and social media to be combined into one system, like seen in China. In 2017 mobile commerce was hitting $700 billion in revenue, this is represented as over 300% increase over the last 4 years. This is expected to increase and is seen as the start of a new era, mobile commerce. Next articleThe dark clouds are gathering but will Cricket South Africa be able to ride out the storm?